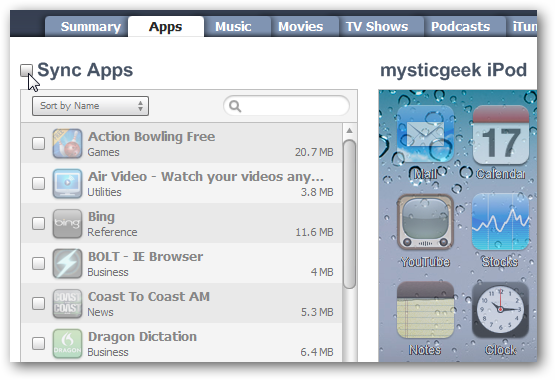 Sometimes when adding music, apps, or updates to your iPod Touch or iPhone something goes wrong and it becomes unstable. 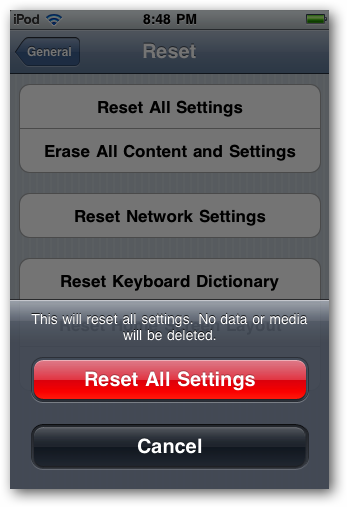 Here we take a look at some basic steps on how to reset or restore it to help getting it working again. If your apps or music aren’t playing correctly, you probably want to start off with a simple Reset of your device. 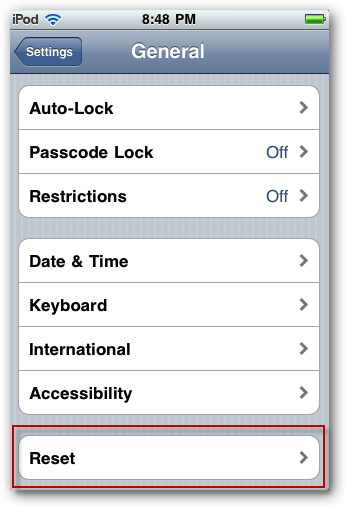 For instance when we showed you how to jailbreak your apple device, we needed to do a Reset for it to work properly. To Reset the device go into Settings \ General \ Reset. You will then get a warning twice asking if you’re sure you want to Reset. You won’t lose any of your data or media doing a Reset so go ahead and tap Reset All Settings…and your device will Restart. 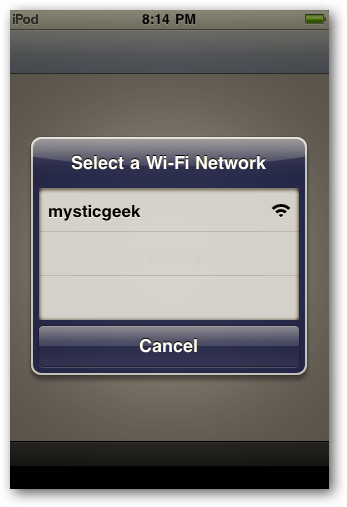 After the Reset you will need to reconnect to any Wi-Fi connections when you want to use online apps. Hopefully a simple Reset is all it will take to get things working correctly. However, there may come a time where you need to do a complete Restore. Make sure you backup all the files on your device as a Restore will set it back to the Factory Defaults and wipe out all of your data. To backup your most important files check out our article on how to use Dropbox with an iPhone or iPod Touch. 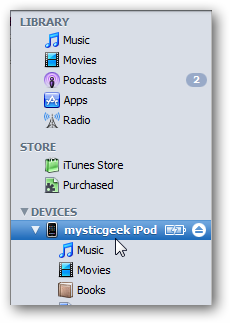 Connect you device to your computer and open iTunes (Make Sure you have the latest version). Then select your device from the Source panel. To backup your device right-click on it and select Back Up. Under the Summary tab in the Version box click on the Restore button. 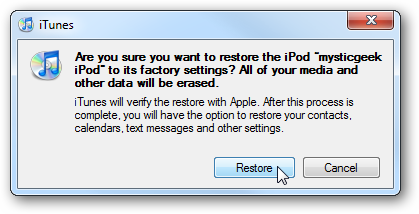 You will get a message asking if you’re sure you want to Restore it to factory settings. If you have items you’ve purchased from the iTunes Store you will see a message that they will be erased and you may need to purchase them again. All data will be lost, that is why it is very important you have it backed up. Now the Restore process will kick off. You will here the USB “dong” noise a couple of times during the process. 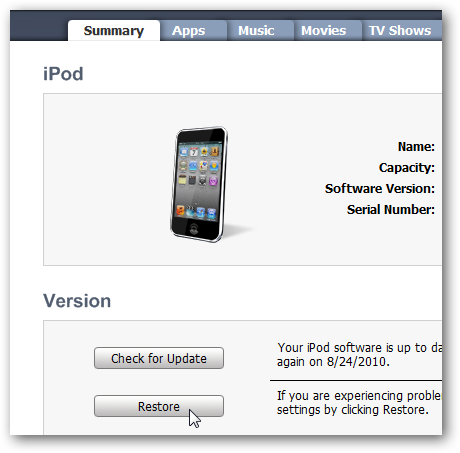 When the Process has completed you will be presented with the Set Up You iPod screen where you can choose to set it up as a new iPod or Restore from a backup. Here we are selecting to restore from a backup…but whatever you have backed up might be what is causing the device to be unstable. 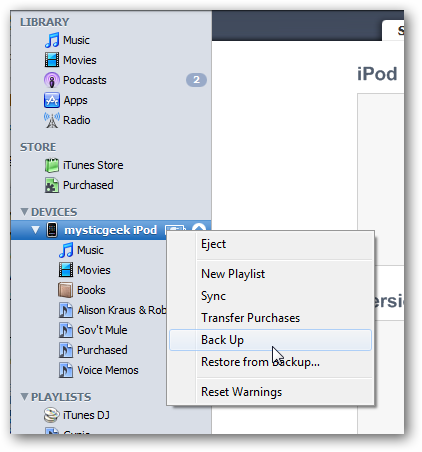 You can try to restore from a backup first, but if that doesn’t work, set it up as a new iPod. 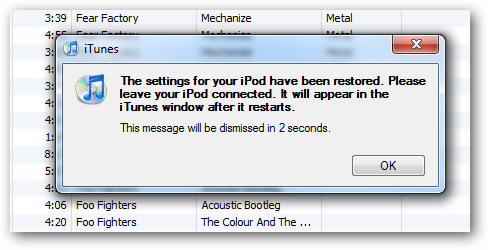 Then when it’s restored you will get a message to leave it connected while it restarts. 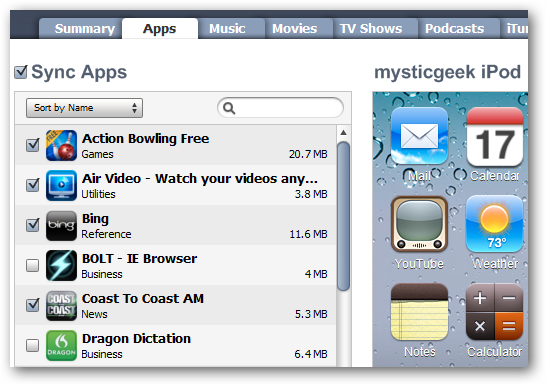 After the restore was complete…on our iPod there were several apps missing from the main menu…where before we had three screens worth. Then move them around to where you want them. 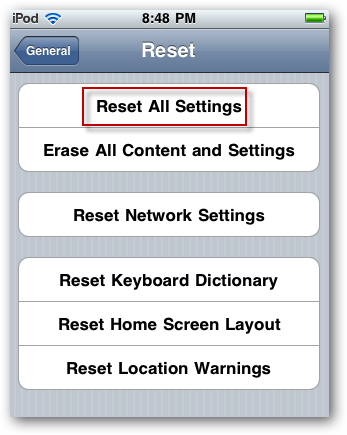 If you are experiencing problems with your iPhone or iPod Touch, it’s probably better to start troubleshooting with a Reset of the device…a lot of times we’ve found that is all it takes to work out small hiccups in the devices. However if you need to do a complete Restore, definitely make sure you backup everything that is important before proceeding. 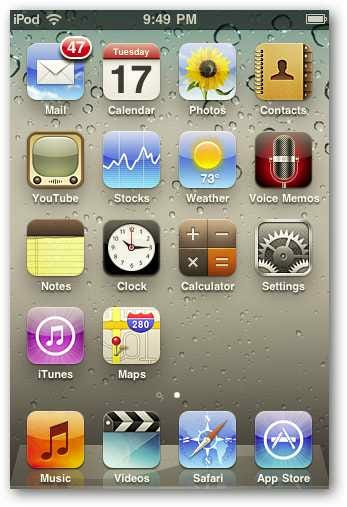 This should help you out with troubleshooting your iPod Touch or iPhone that is experiencing some problems or instability. We will be taking a look at some more in depth troubleshooting in the near future so stay tuned for that. If you experience a problem that you can’t seem to fix no matter what you do…take it into your Apple dealer and see what they can do.